Dewaberita- U.S. Air Force has banned the flying of all fleet F-22 fighter of his, the most sophisticated aircraft in the world, after the issue appeared on the aircraft's oxygen supply, officials said Friday. 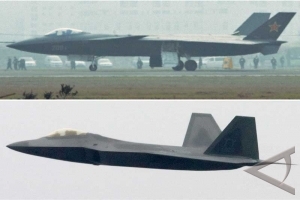 Raptor F-22 can evade radar, as stated by AFP, banned from flying since May 3 and Air Force officials could not say when the plane was going back into the air. "Our air crew safety is paramount and we will require sufficient time to ensure we conduct a thorough investigation," said Capt. Jennifer Ferrau spokesman told AFP. Air Force has been investigating the possibility of bottlenecks in the system of oxygen supply on the plane after the pilot reported some problems, according to the journal Flight Global. In one case, the F-22 scratch the top of the tree before landing and the pilot can not remember the incident, which indicates kemumgkinan hiposia symptoms due to lack of air, the magazine reported. Ferrau said it was too early to say with certainty that the technical problem was related to oxygen generating system in the plane, known as OBOGS. "We are still working to identify the exact nature of the problem. It is too early to definitively connect the current problems with the system OBOGS it," he said. Since January, the pilots of the F-22 has been banned from flying above 25,000 feet (7600 meters), following the collapse of a Raptor jet in Alaska in a training flight. Cancel all the aircraft fleet is a rare step, according to several officials. In November 2007, prohibits the Air Force flew all the F-15 fighter jet after one of the plane apart in flight and crashed. The planes were not allowed back into the air until March 2008, said Maj. Chad Steffey. The Air Force has more than 160 F-22 Raptor in its fleet and plans to make all the Raptor 187.